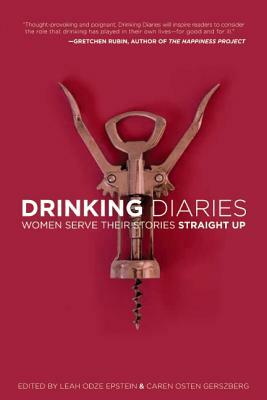 Caren Osten Gerszberg is a freelance writer and co-founder of the blog Drinking Diaries. Gerszberg s articles have appeared in The New York Times, Travel & Leisure, National Geographic Traveler, Parents, and other national magazines and websites. She has also had a regular column, Mom U, about her daughter s college admission experience, at NYTimes.com. Born and raised in New York, Gerszberg graduated from the University of Pennsylvania, going on to earn a dual master's degree in French and journalism at New York University. Her career in publishing began with a summer job at French Vogue in Paris, which paved the way for a full-time position at Mademoiselle magazine in New York. After four years as a research editor at Rolling Stone, Gerszberg launched her freelance career, and also became the New York correspondent for French Glamour, writing a monthly column in French. Gerszberg has taught feature writing as an adjunct professor at New York University's Arthur L. Carter Journalism Institute. A passionate traveler, she lives in Westchester County, New York, with her husband, three children, and two dogs. Leah Odze Epstein, co-founder of the blog Drinking Diaries, is a young adult and adult fiction writer. She has worked as a news assistant at The New York Times, an adjunct professor of writing at Baruch College, and an assistant editor at One World/Ballantine Books. Epstein has written book and movie reviews for publications including Publisher s Weekly and Bookpage, and has worked as a freelance editor. She currently blogs about women and drinking for The Huffington Post, and some of her poems can be found on the website Literary Mama. Born and raised in Bethesda, Maryland, Epstein now lives in Westchester County, New York, with her husband and three children. "